What's the average price for a stolen credit card? 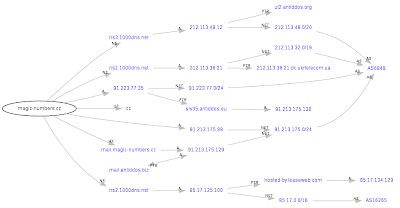 How are prices shaped within the cybercrime ecosystem? Can we talk about price discrimination within the underground marketplace? Just how easy is to purchase stolen credit cards known as dumps or full dumps, nowadays? In this intelligence brief, I will expose the market for stolen credit cards data, by profiling 20 currently active and responding gateways for processing of fraudulently obtained financial data. 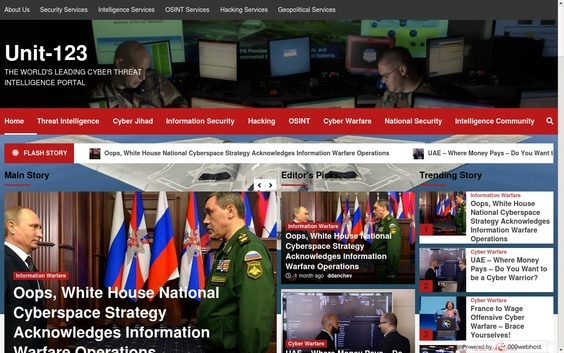 The dynamics of the cybercrime ecosystem share the same similarities with that of a legitimate marketplace. From seller and buyers, to bargain hunters, escrow agents, resellers and vendors specializing in a specific market segment, all the market participants remains active throughout the entire purchasing process. 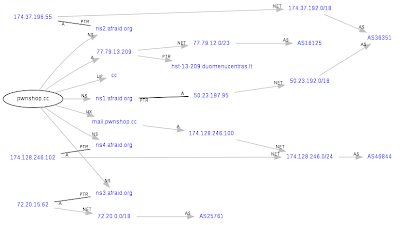 With ZeuS and SpyEye crimeware infections proliferating, it's shouldn'd be surprising that the average price for a stolen credit card is decreasing. 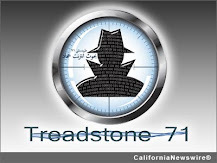 With massive dumps of credit card details in the hands of cybercriminals, obtained through ATM skimming and crimeware botnets, the marketplace is getting over-crowded with trusted propositions for stolen credit card details. 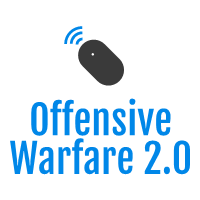 What used to be a market where over-the-counter trade was the primary growth factor, is today's highly standardized marketplace with DIY online interfaces, allowing anyone to join and purchase stolen credit card details. 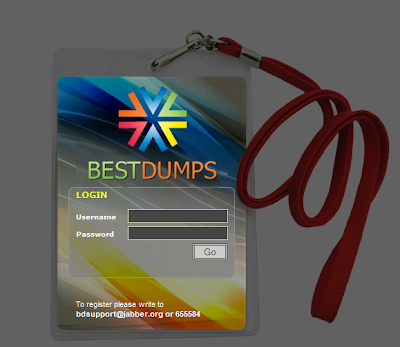 Naturally, the vendors of dumps and full dumps are vertically integrating within the marketplace, and are offering additional services such as checkers for credit cards validity, and proxies-as-a-service -- compromised malware infected hosts -- allowing a potential cybercriminal to opportunity to hide their IP while using the recently purchased credit cards data. How are prices shaped within this new and standardized market model offered commodity goods such as stolen credit cards, and is price discrimination for the stolen credit cards even feasible? The vendors are currently offered fixed prices for the majority of credit cards, with slight increases in the price of a stolen credit card, if the card is Premium. Bulk orders are naturally also considered as a growth factor the DIY interfaces, with slight discounts being offered for bulk orders. As far as price discrimination is concerned, the concept is long gone, and has become the victim of this ongoing standardization of the market. The same goes for penetration pricing, as the vendors of stolen credit cards details are now enjoying a better underground market transparency into the fraudulent propositions of competing portals, helping them to set the prices more easily, without the need to lower the price in order to enter the market segment. 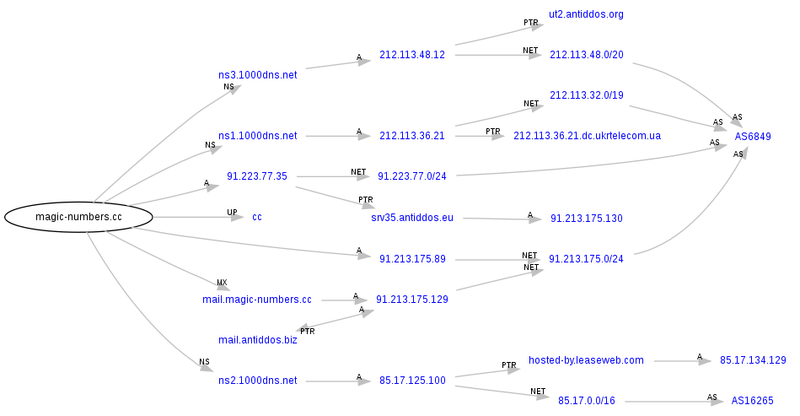 Let's profile the 20 gateways for processing of fraudulently obtained financial data. 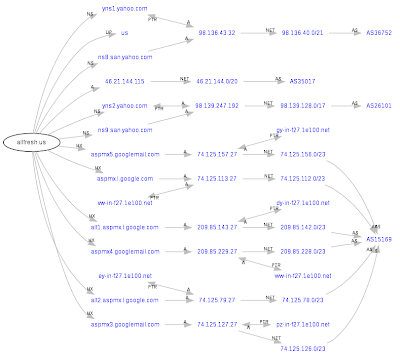 Let's now take an inside view into each and every of the above-profiled gateways. Accessltd.ru is currently offering an inventory of 39328 U.S based stolen credit card details for just $2.10 each, followed by another inventory of 342 U.K based credit cards for $9 each, and 108 Japanese based credit cards for $8 each, with another dump of 293 Canadian credit cards for $7 each, and 198 Australian based credit cards for $8 each. 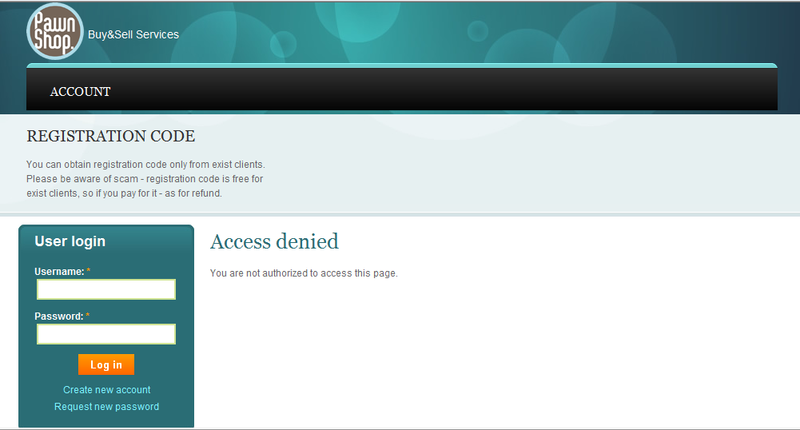 According to the service - "We accept Liberty Reserve only.Refund on your wallets is not possible." 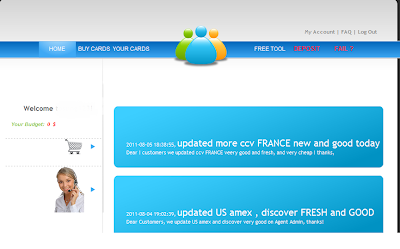 AllFresh.us is yet another DIY shop for purchasing stolen credit card details, all fresh as the name says. On 2011/08/04 the service issued updates for "updated US Amex, Discover fresh and good", followed by another update on the next day, this time advertising "updated more cvv Franche new and good today." 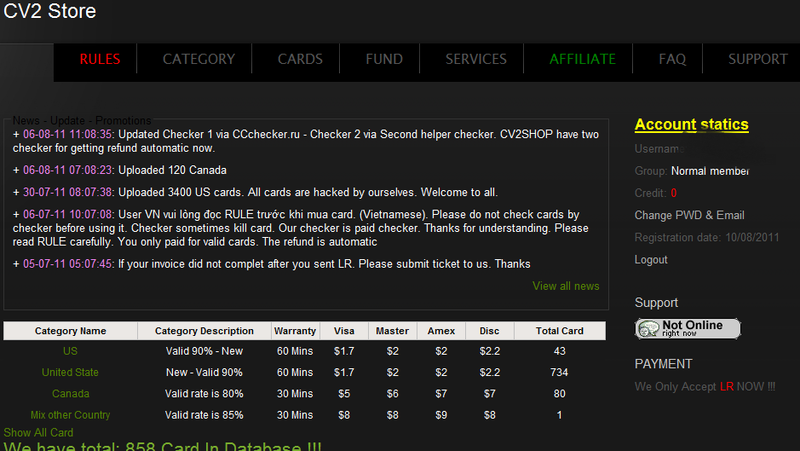 The price for a stole card number is static and is $6 per credit card. 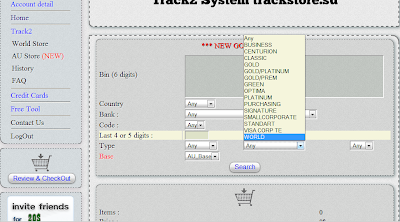 Approven.su is a relatively more advanced DIY shop for purchasing of stolen credit card details, due to to its advanced search options, allowing cybercriminals an easier way for searching into the the dumps/full dumps of stolen credit card details. 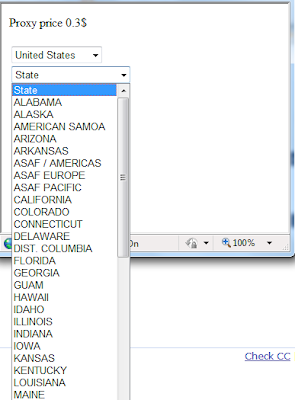 The most recent annoucement at Approven.su says "Sumer Jam: 8 new bases - Georgia2, California3, Pennsylvania3, Puerto Rico, California4, Texas4, Virginia, California5". 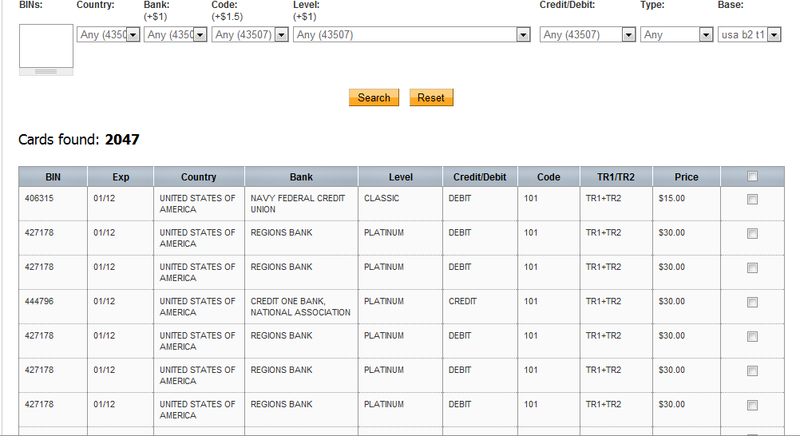 The price for a stolen credit card is $10, with Platinum cards going for $15. BestDumps.biz doesn't allow newly registered visitors the opportunity to search across its database of stolen credit card details, unless they pay $50 using Liberty Reserve. 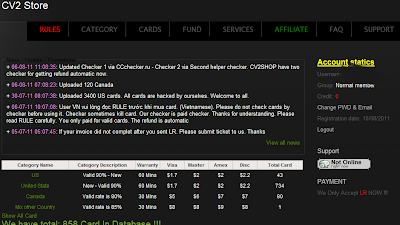 Bulba.cc offers a Checker for stolen credit cards. The most recent announcement is "UPDATE ADDED 1000 MEXICO RARE! FRESH! 95% VALID!!! 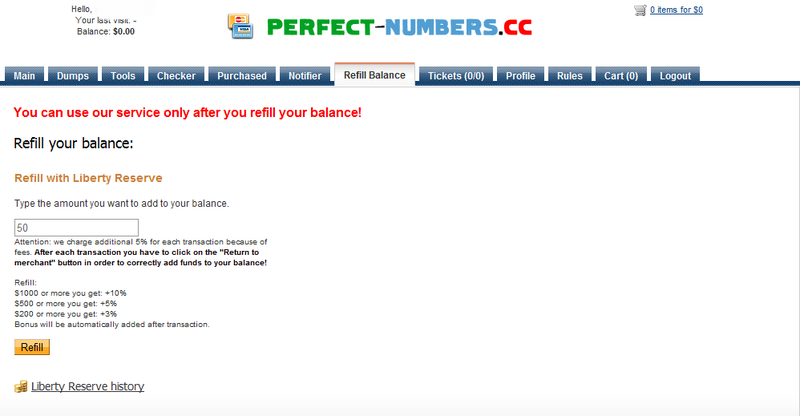 Hurry up to load the account". "Hello my name is Bulba. 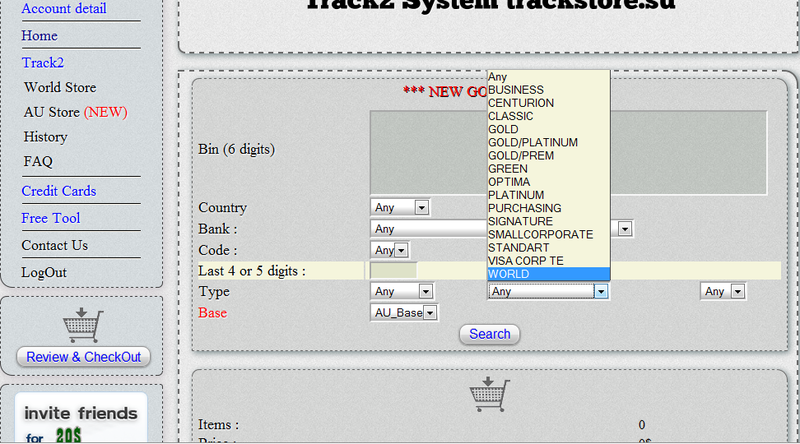 I am official reseller of TRACK2.NAME service. 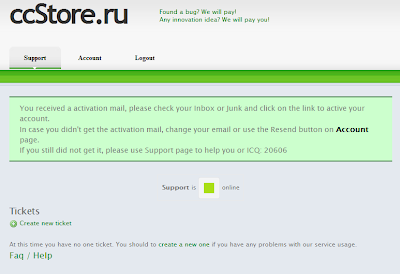 Bulba.cc opened because track2.name closed registration and don't accept new customers. We don't have any specific rules. Our only rule is "we don't replace bad dumps". That means we don't replace them at all and we don't have replacement policy. Don't ask about it in any case! 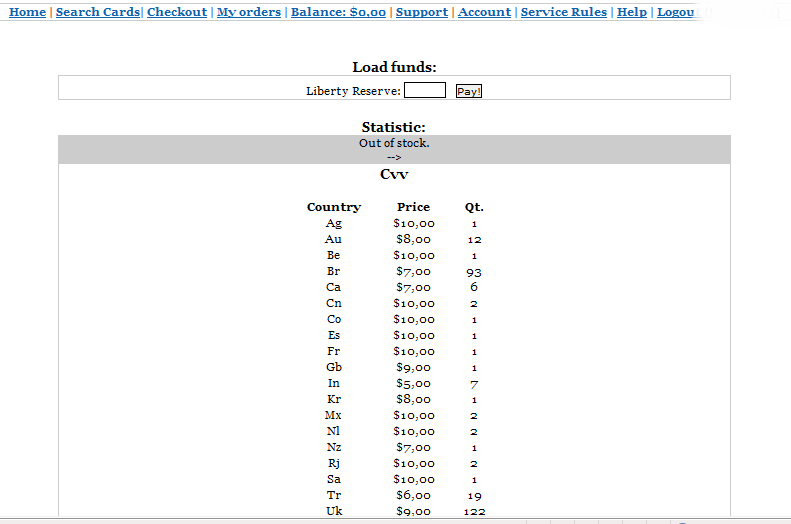 We accept Libery Reserve, WU, MG, Bank Transfer (NEW) without any fees. 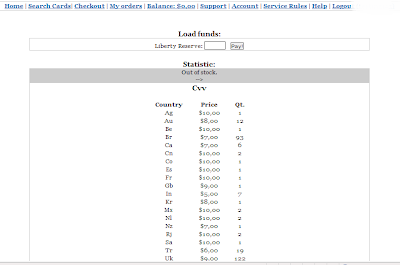 Minimum for payment by LR - 10$, WU, MG - 500$, Bank Transfer - 500$. Also we give 10% bonus of money to all purchases. 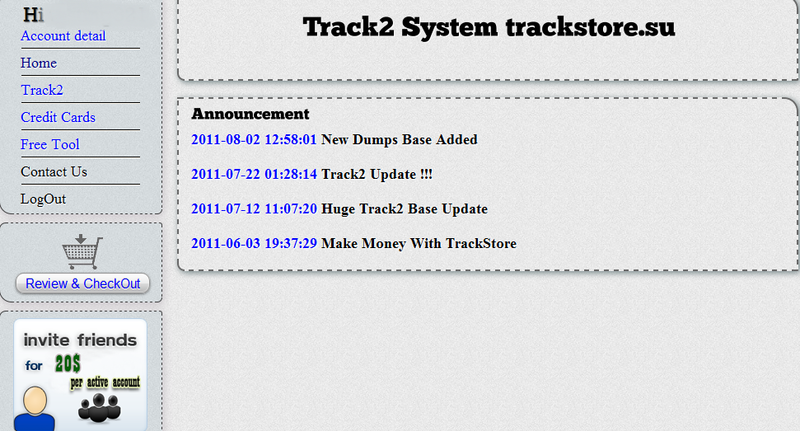 Our bases: SALES - track2, 50% valid, alot dumps! Very cheap $7 per one! DATABASE9 - TRACK1+TRACK2(90%) + TRACK2(10%) only! 80% valid, FRESH. 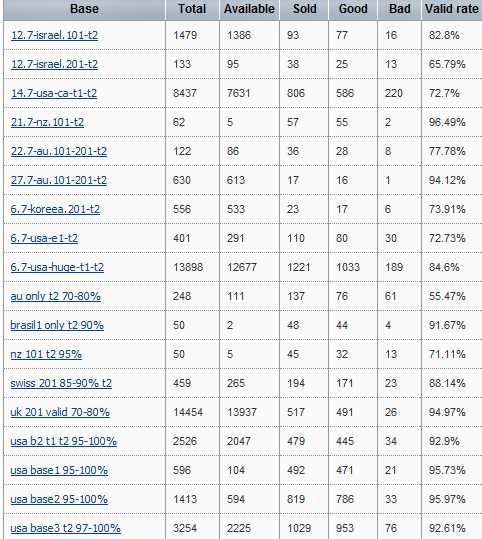 NEW DATABASE, TRACK 2 only, 95% valid, FRESH! NEW!" 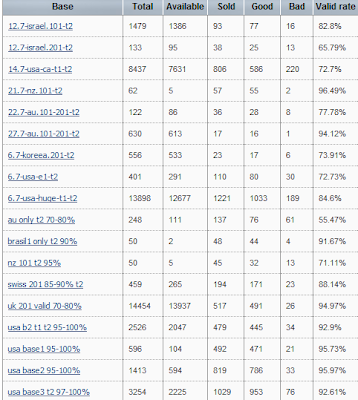 2.3.3) Claims on checked DUMP/CC are not accepted. 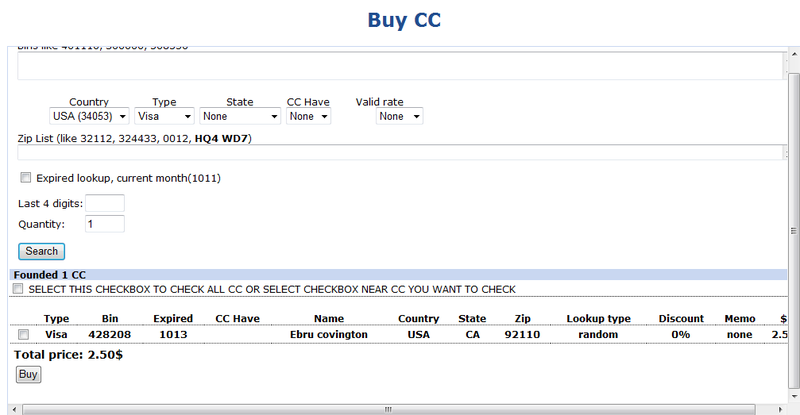 3.1.2) Administration CardShop reserves the right to itself at any moment to change tariffs. 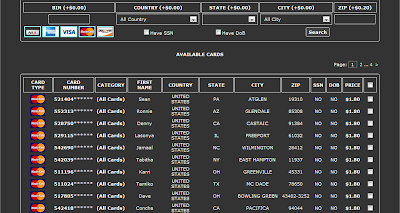 You agree periodically check tariffs on site CardShop to learn about possible changes in them"
The is currently offering 33903 U.S based stolen credit cards for sale. 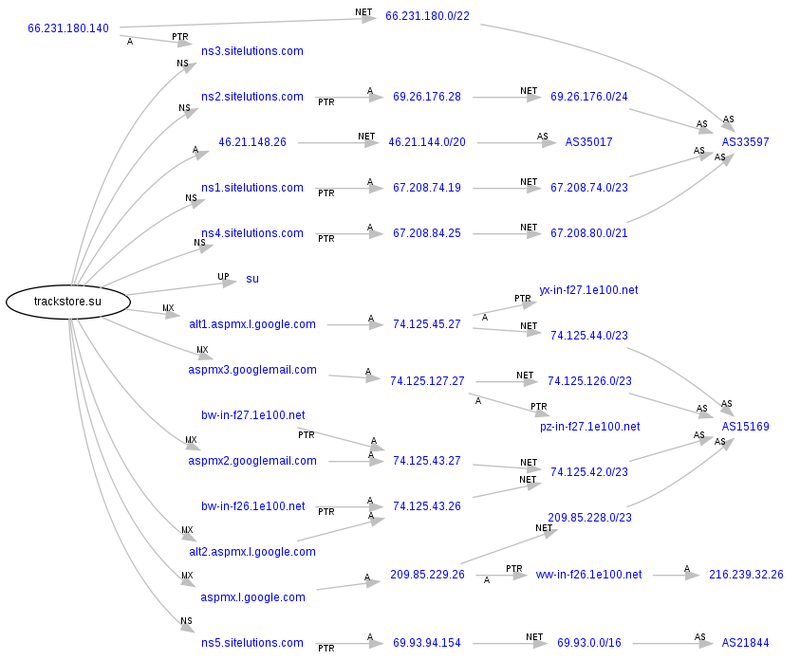 The web site is also offering Proxies for sale -- compromised malware infected hosts- where the price is 0.3$ per proxy. 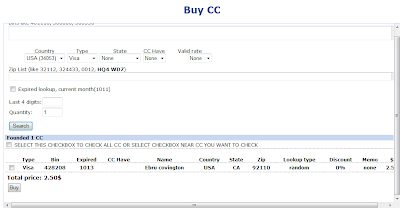 Next to the inventory of stolen credit cards and the proxy service, the web site is also offering batch checking for the validity of the stolen credit cards, and is also performing Lookups SSN|MMN services, with the ability to Lookup MMN in California state. 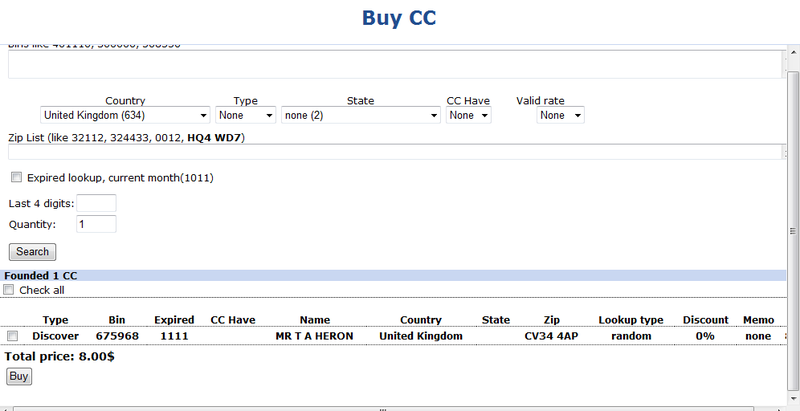 CcMall.cc is associated with the following ICQ number 777605, where potential buyers would have to connect with the seller in order to be offered the ability to register in the site. "For private limited registration only into the new shop" is currently displayed on CcMall.cc's web site. 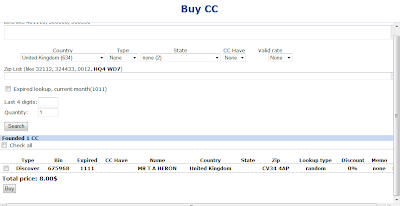 ccmall.cc - 213.5.70.34 - Name server: TR1.ONLINESHOP.SU - Email: gwylhcfktm@whoisservices.cn - AS49544, INTERACTIVE3D-AS - HOSTED IN THE NETHERLANDS; Name server: tr1.onlineshop.su - Emaill: exchangers@msn.com context.cx is also registered using exchangers@msn.com. 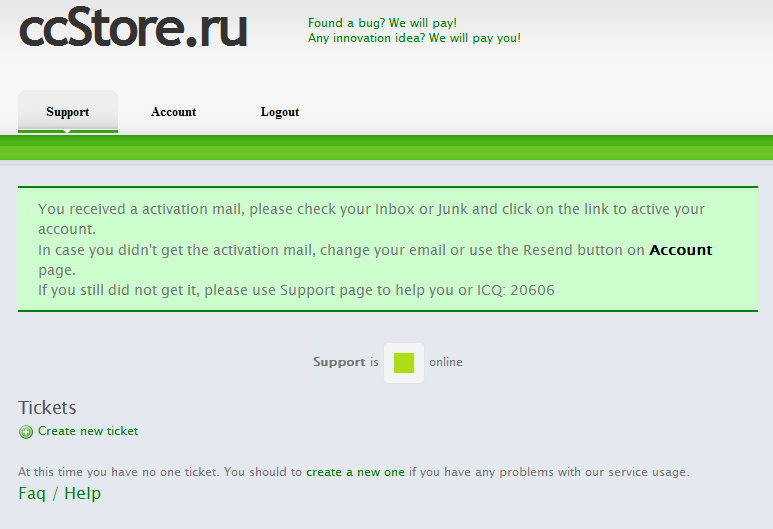 ccStore.ru is associated with the following ICQ - 20606, and requires that a valid email address is supplied in order to activate the access to yet another interface for selling and reselling fraudulently obtained financial data. 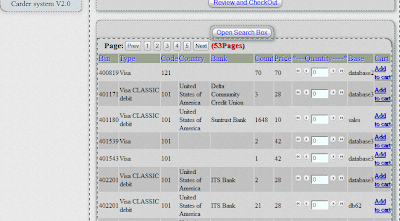 Cv2Shop.com has an inventory of 734 U.S based stolen credit cards for the price of Discovery - $2.2 per piece; Amex for $2; Mastercard for $2; Visa for $1.7 per piece. 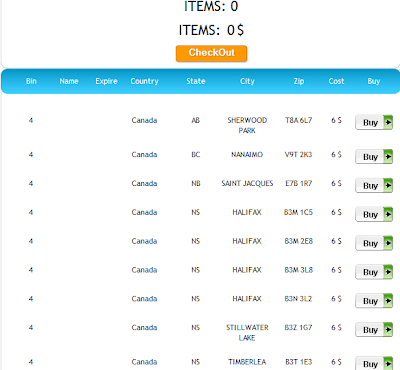 The fraudulent interface is also offering 80 Canadian stolen credit cards for the price of $7 per piece for Discovery and Amex, and for $6 for Mastercard and $5 for Visa. 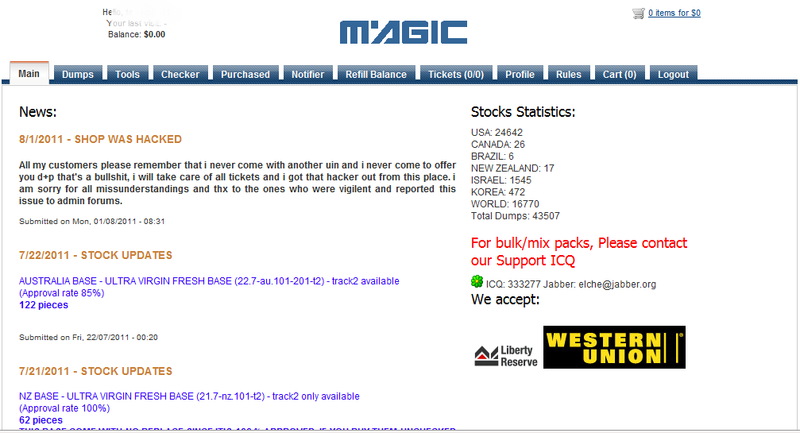 FreshStock.biz is associated with the following ICQ - 607373112 where users have to initiate the contact in order to obtain access to the DIY shop for stolen credit cards..
Magic-Numbers.cc is associated with the following ICQ - 333277 and Jabber: elche@jabber.org where users wanting bulk orders have to contact the cybercriminals offering the DIY interface for stolen credit card numbers. 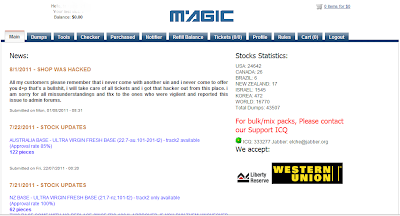 The web site is currently offering 24642 U.S based stolen credit cards, followed by another 1545 Israeli based credit cards, with a total dumps currently being offered at 43,507. 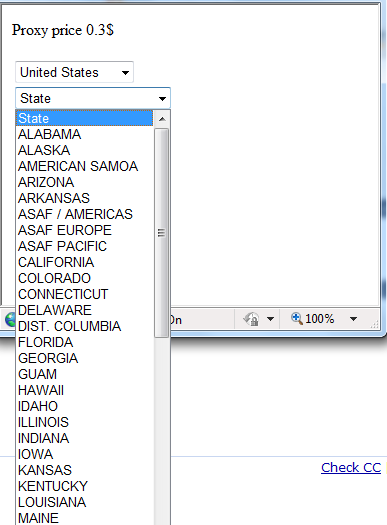 The most recent advertisements read: "Australia base, ultra virgin fresh base - track2 available. 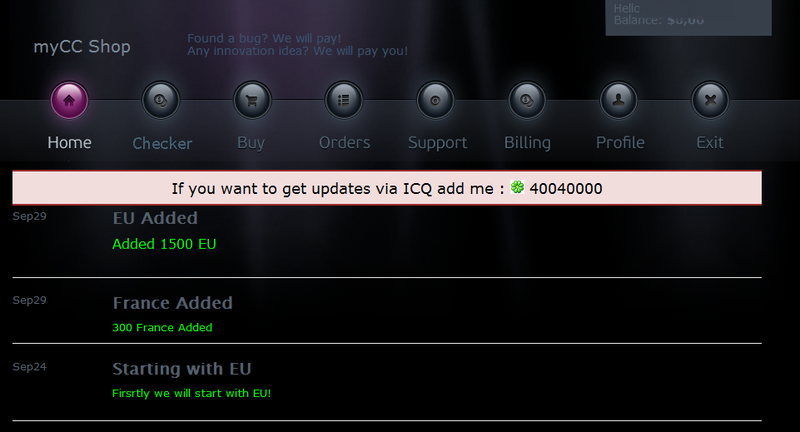 Approval rate 85%"
mega4u.biz is currently closed for free registration. 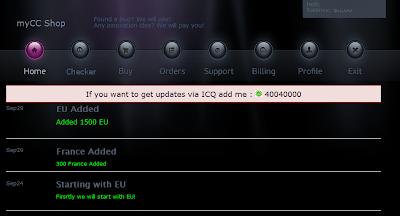 MyCc.su is associated with the following ICQ - 40040000 and next to offering stolen credit cards for sale, is also soliciting for security vulnerabilities - "Found a bug? We will pay!". The latest update from September 29 says that 1500 EU based stolen credit cards have been added, followed by another update from the same date, this time with 300 French based stolen credit cards added. 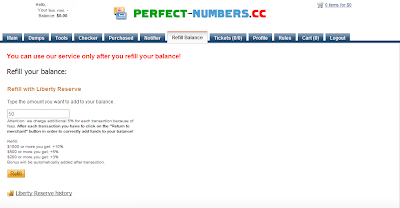 Perfect-Numbers.cc is yet another DIY interface for purchasing stolen credit cards. 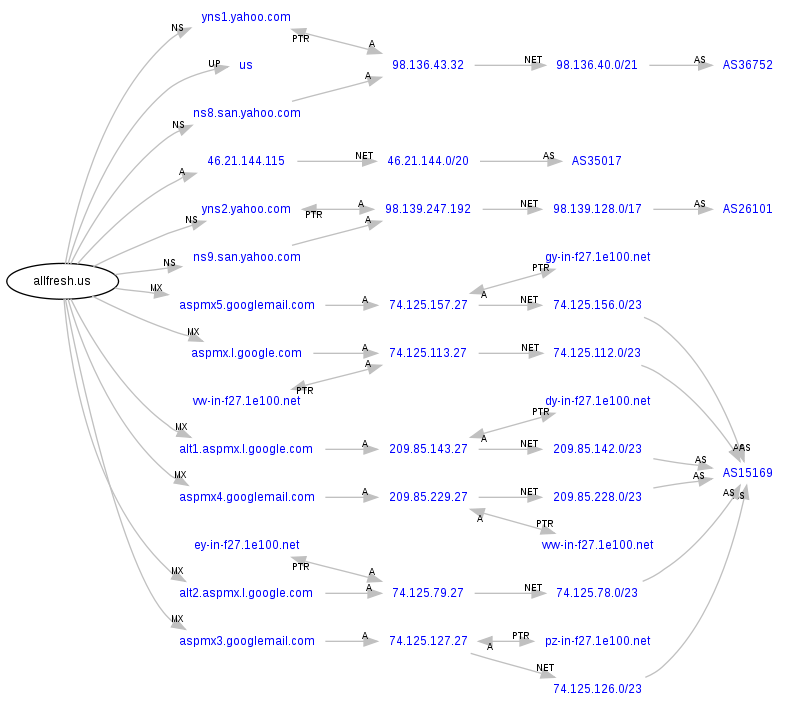 It's associated with teh following ICQ - 605099359. Users are able to search within the interface only after they have refilled their balance using Liberty Reserve as a means for payment. 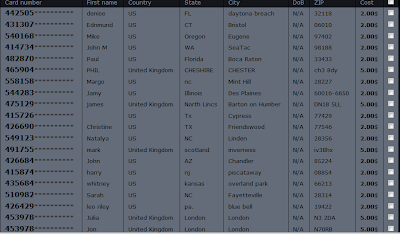 privateservices.ws currently has a database of 634 U.K based stolen credit cards, and another 293 French based stolen credit cards. 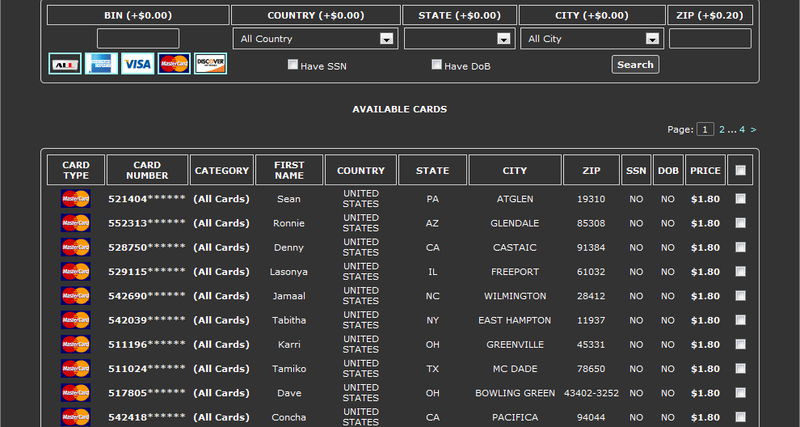 pwnshop.cc is yet another DIY interface for selling stolen credit card numbers. The web site is currently returning the following message: "You can obtain registration code only from exist clients.Please be aware of scam - registration code is free for exist clients, so if you pay for it - as for refund." 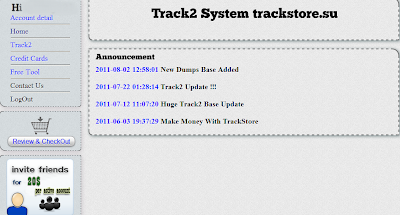 trackstore.su is offering existing clients to option to refer additional customers for the price of $20 each. The web site is currently offering 1648 U.S based stolen credit cards, exclusively from the Suntrust Bank for the price of $10 for each stolen credit card. track2.name is offering stolen credit card numbers for the price of $20 for each stolen credit card. 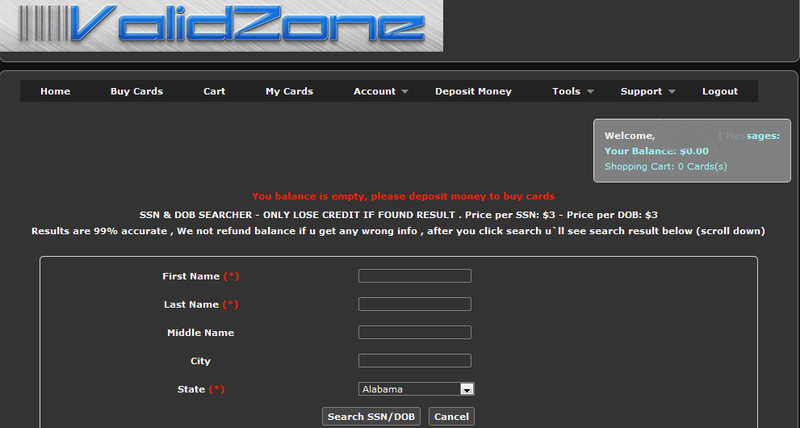 vzone.tc is yet another DIY shop for stolen credid card numbers. The current announcement reads : "Dear users, after you buy cards, to view proper information, please click download all cards or download selected card from My Cards page. 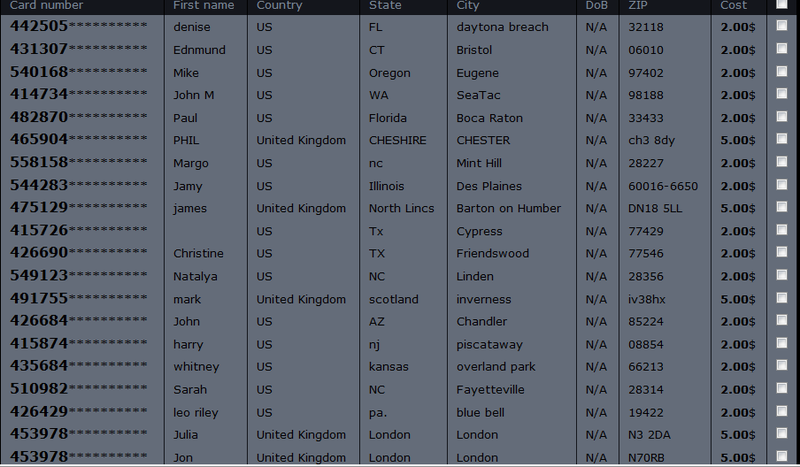 It will show you all information like Last Name and all the additional info like phone, email. P.S If you dislike new shop V.2 of our shop, then please use support link and send us your feedback to admin, if you want to back old shop V.1 then send feedback with proper reasons why u again want to see old shop V.1"
The current price for a stolen credit card is $1.80 for every card. 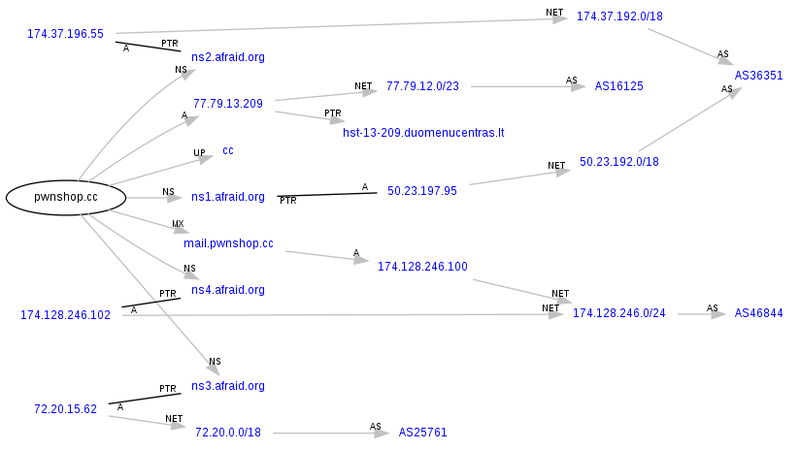 Next to offering stolen credit cards as a service, the shop is also offering SSN and DOB Searcher, next to the opportunity for customers of the shop to also purchase proxies -- compromised malware infected hosts. 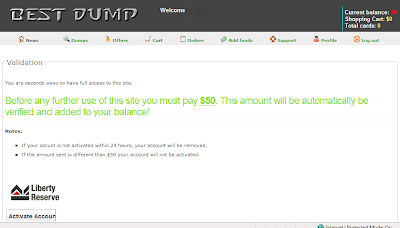 dumpscheck.com is associated wit the following ICQ - 612303315 is an advanced checker for the validity of stolen credit card details. 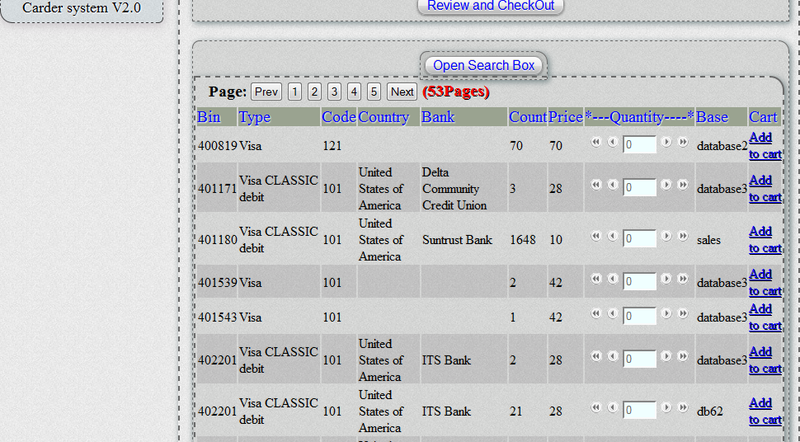 The web site says "Current merchant accepts VISA, MASTERCARD, AMEX, DISCOVER, DINERS, JCB."